In the world of elite women’s skeleton racing, the difference between staking a place on the podium or not, can come down to a matter of milliseconds. In a sport where fractions of time can make a huge difference, it is no wonder that athletes, trainers and coaches are constantly scouting for new ways to shave a few precious moments off run times. 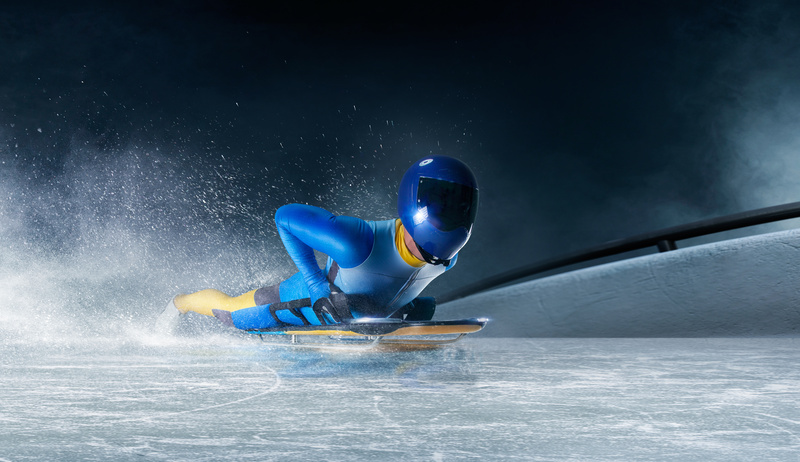 Whether it is making uniforms sleeker or sleds more aerodynamic, today, there is a whole industry dedicated to the science of helping racers go faster. However, even with every team jockeying for a clear advantage, definitive improvements in race design rarely happen. But when they do, they can make all the difference in helping a team take victory. One such breakthrough recently occurred for the British women’s skeleton team. Racers donned special polyurethane skinsuits manufactured by a British design firm. To create these suits, the company used a 3D full body scan to gather the athletes’ exact measurements, ensuring a skintight fit that would help reduce wind resistance. However, the real innovation of the suits came down to a series of unique drag-resistant polyurethane ridges, developed by scientists. These were created to limit drag as the athletes raced down the course at speeds in a range of 80 to 90 miles per hour. By some estimates, the 3D rendered polyurethane suits may have helped cut overall wind resistance by as much as five percent, resulting in a reduction of run times by about a second – a lifetime for these racers. For Great Britain, the innovation in polyurethane design helped their women’s skeleton team clinch third and first places last year in Pyeongchang. The firm, which produced the skeleton skinsuits, has also done the same for the British National Cycling team. Now, the UK government is helping to fund a research and development facility for the skinsuit firm, where the group will further concentrate on cutting wind resistance and creating innovation in their polyurethane uniform designs. A Future for Polyurethane Prosthetic Hands?